Hello everyone! Angel here, and I would love to tell you of my adventures in Norway. 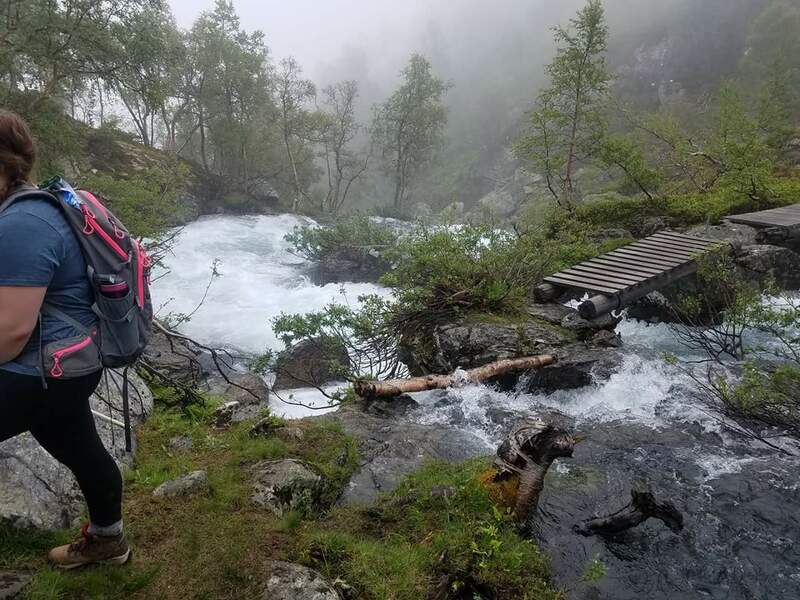 For the last 10 days me, my husband Jamie and two of our best friends went on a hiking adventure tour of the fjords in Norway. I cannot even begin to properly describe the majestic scenery that Norway holds. I was in constant awe every time that I looked around. Even the view from our hotel room took my breath away every time I woke up or went to bed. We were in Norway when the “Midnight Sun” phenomenon happens. This is when there is no true night as we know it here in the States. The sunset was at 11:15pm, but it never got dark. It was twilight until the sunrise at 4am. It definitely threw us for a loop, and we had to make sure we went to bed at a decent hour so we would be well rested for our hike the next morning. The hikes we did were very intense. This was not a walk on a gravel or dirt path through the woods, this was rock scrambling on shifty rocks/shale or rock stairs at 45º incline. As someone who has had a fear of heights since I was a child this was a testing experience, but one that helped me gain confidence in not only controlling the paralyzing fear that can take a hold of me, but also have more confidence in myself. 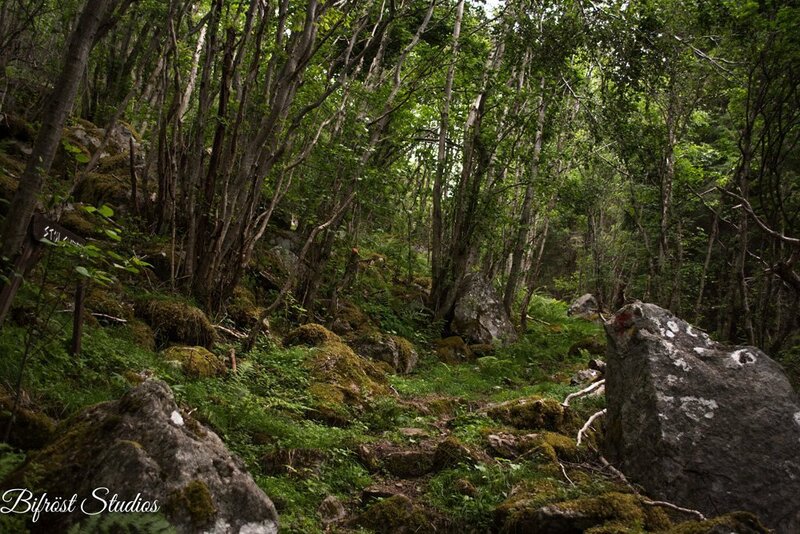 Magical forest on our Buerdalen hike. At one point in our 2nd hike—we hiked 4 days in a row with the shortest one being 8 miles—we had to cross a small stream with a waterfall. The night prior it had poured, so what was once a small stream that was easy to cross had now become a raging river. The gap that we had to jump over was easily 6′ wide with only a small rock to land on that was mostly submerged. All I could think of was how I was going to slip and fall to the waters below and drown in the undercurrent of the falls. I completely froze and my whole body started to shake. My husband was right next to me and came up with the idea to use some logs he had seen on the other side as a bridge; so the rest of our hiking group grabbed them and laid them out. Then our tour guide (who I swear had goat blood in her) walked across using my walking stick as a railing and helped me concentrate on walking across the bridge and not on the possibility of falling. Once I was halfway on the bridge, one of my fellow hikers grabbed my hand and helped me get across the rest of the gap. It was a harrowing experience. I still feel a little sick to my stomach when I think of it, but I also feel a great sense of triumph. I was able to push aside my fear and take control of the situation. After that incident I was so much more confident in the rest of our hikes. Even our guide noticed the change and said it was one of her most memorable moments she’s experienced since she started doing hiking tours. The river and log bridge I had to cross. 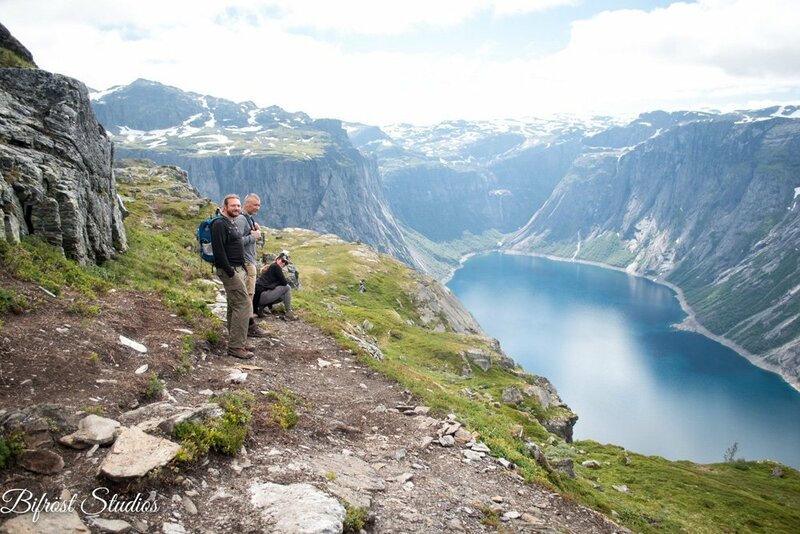 Hiking Trolltunga was the culmination of our trip. It was a 16 mile hike that typically takes 10-12 hours, which we did in 10.5 hours. It was a mind-blowing experience and one that I will gladly do again! The views were absolutely spectacular throughout the entire journey. The photos that I took came out great, but in all seriousness they don’t fully capture the essence of Norway that you feel when you see it with your own eyes. If you have the chance to visit Norway, do it! You will not be disappointed. I am already looking forward to the next time we go out out there! 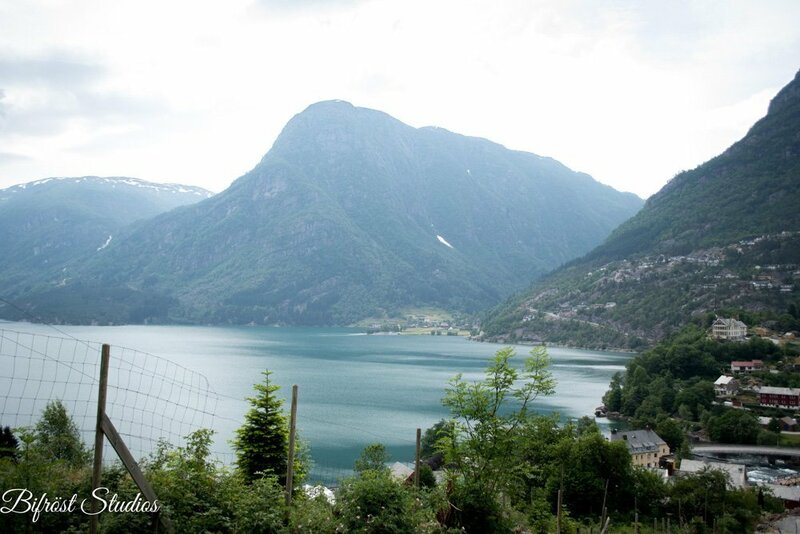 One of the views from our hotel in Odda. 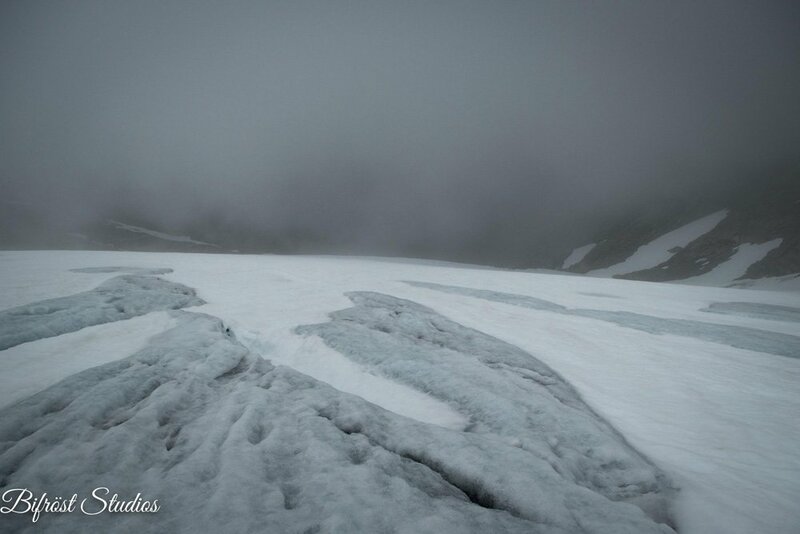 The view on Folgefonna Glacier. 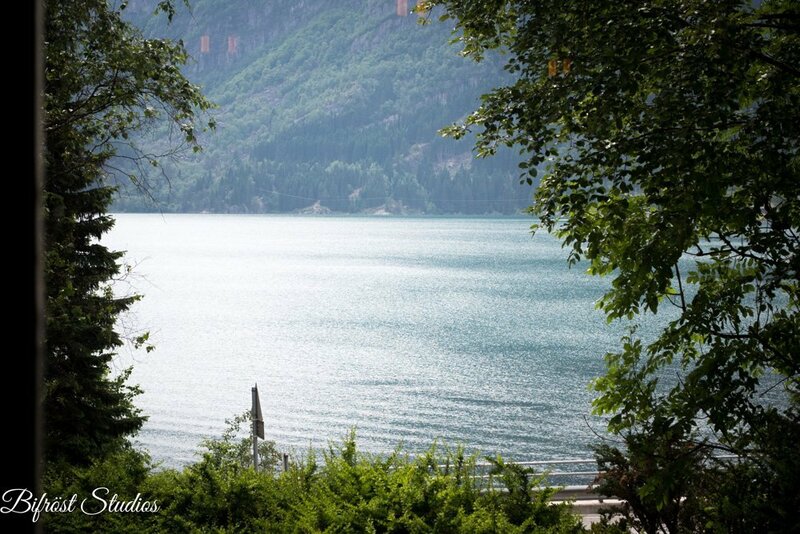 The view of the glacial lake in Odda. 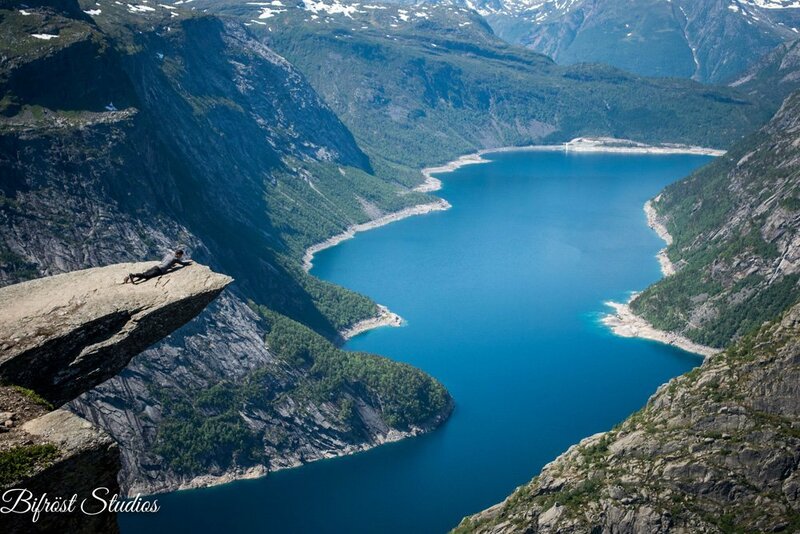 Trolltunga and the glacial lake below. Jamie and our friends on a rest stop on our Trolltunga hike.